Madam President, thank you for convening this important High-Level meeting. Last year’s IPCC report set out the facts simply in black and white: whichever way you look at it – from the economic, the environmental, or the moral standpoint- we have reached a critical moment for our collective climate ambition. There is absolutely no time to waste. For too many people, it is already a matter of life and death. 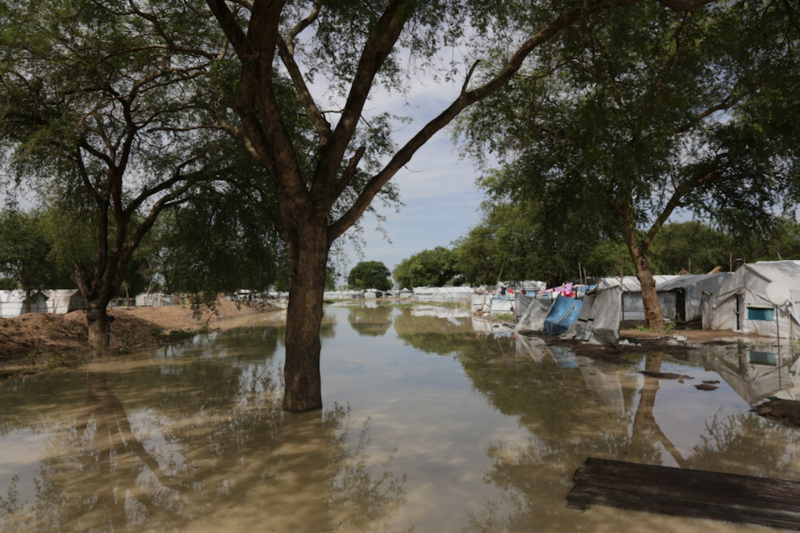 Millions around the world have been left without homes or livelihoods as we’ve seen recently in Mozambique, Zimbabwe and Malawi following Cyclone Idai. Thousands in the Caribbean, as I have seen directly myself having visited the region, are still rebuilding their lives more than two years – yes that’s two years – after Hurricanes Irma and Maria hit. We all know that the impacts of climate change. The impacts are such that will cause more hardship, they will cause instability and they will cause conflict in the future. The most vulnerable will be hit first and hardest, but let us be clear, your Excellencies, Ladies and Gentlemen, none of us are safe. All of us will be impacted and affected in one way or another. That is why the UK fully supports the efforts of the President of the General Assembly and Secretary General Guterres to refocus the United Nations on climate change and, importantly, the urgent need for action. We must work together, we must pool our resources and draw on the best of human ingenuity to tackle this incredible challenge. That means arresting climate change where we can; it means adapting to changes that are already taking place. The Secretary General’s Climate Action Summit in September, as we all I’m sure acknowledge, will be a critical moment. If we are to deliver the Sustainable Development Goals, climate action must be at the heart of our approach. And we must urgently increase our collective ambition – to reduce emissions, mobilise finance and build resilience. Let me share with you what the United Kingdom is doing on all three. Firstly, we have ourselves cut our emissions by 42% since 1990 but importantly, this is whilst growing our GDP by 72%. Secondly, we are one of the world’s leading providers of climate finance, having committed more than $7.5 billion between 2016 and 2020 in support of both mitigation and adaption. And at the Secretary General’s Climate Summit later this year we will be co-leading the resilience and adaptation strand with Egypt, in direct partnership with Bangladesh, the Netherlands, and Malawi. Investing in resilience not only reduces risks to lives and livelihoods, it also offers a great opportunity – an opportunity to create jobs, spread prosperity, accelerate development and enhance security. At the Summit we will bring government, businesses and civil society together – together to drive a transformational change in the way we think, act and take investment decisions. We want climate risk to be at the heart of all our decision-making. And we want the Climate Action Summit to be – not an end in itself – but a catalyst for a new era of increased ambition. Finally, Madam President, the United Kingdom has offered to host COP26 in 2020. If our bid is successful, let me assure you, let me assure all of you that we will bring to bear the full weight of our expertise, the full weight our influence and our ambition together. We will bring civil society, the private sector governments and every expert on the planet together to encourage a spirit of shared enterprise; and we will set challenging goals that reflect the different global priorities. Madam President, the greatest threat we face today is not climate change itself. It is inaction in the face of that threat. The time for delay is in the past. If not now, then when? If not us, then who? It is time for action. So together, let’s take action now on climate change. Together let us build that future which will make our future generations proud of what we do today.